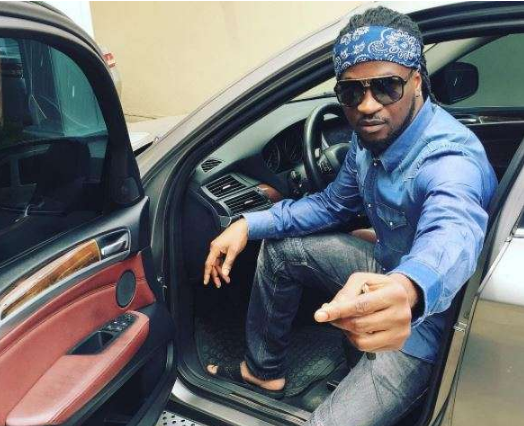 Paul Okoye has released a rare but beautiful picture of his twin babies on Instagram. The music star took to his Instagram page on Friday, October 13, 2017, where he posted the picture of his cute and adorable twins. A post shared by Paul King Rudy (@rudeboypsquare) on Oct 13, 2017 at 2:55am. It has been a very eventful year for the Okoye brothers because of the feud that has been plaguing the family. "If it makes you Happy, no one else's opinion should Matter. #LiveLifeHappy #WordsOfHappiness #KoolestDude #MrP." However, he sure didn't know he was opening a can of worms as his followers wanted to dig further. They questioned his use of his name "Mr. P" as his fans presumed he only uses that name when there is a feud going on with his twin brother, Peter. Peter, went on the defensive by replying the follower that he has been called "Mr. P" over the years, adding that it is the name people call him as an individual. 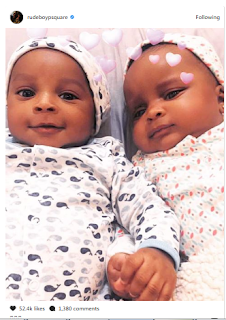 While Peter was trying to downplay that there was a rift, his twin brother, Paul who just recently welcomed the birth of his twins with wife, Anita, took to his Instagram page on September 17, 2017, to issue a subliminal warning. He wrote, "Back to naija don't take my silence for granted.... only a woman can come where brothers are working in peace and destroy it #youknowyourself .... try me this time .... I swear Nyash go open you will know that blood is thicker and stronger than juju..."
" Since the announcement of the arrival of these two....i swear some people have been restless, they cant even sleep, they are not at peace #jelousy #envy....i swear if na plot of land some pple go don buy 10 plots lol.... all these distractions cant stop God's blessings.... #doubledouble #somethingisfishing"
The drama that preceded these shades has been unprecedented, from Peter claiming to have gone solo, to the release of the video where the Okoye brothers were almost at the point of exchanging blows and reigning insults upon each other.